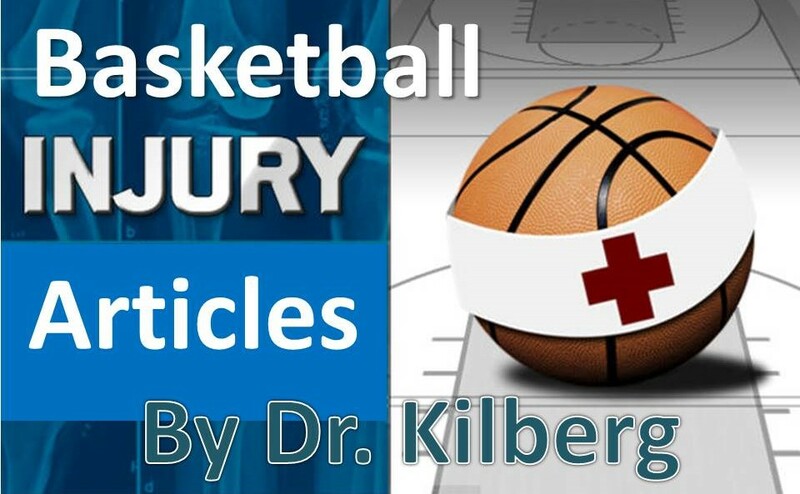 I have a written six articles about foot and ankle injuries to help you understand what to do if your Basketball Star gets injured. 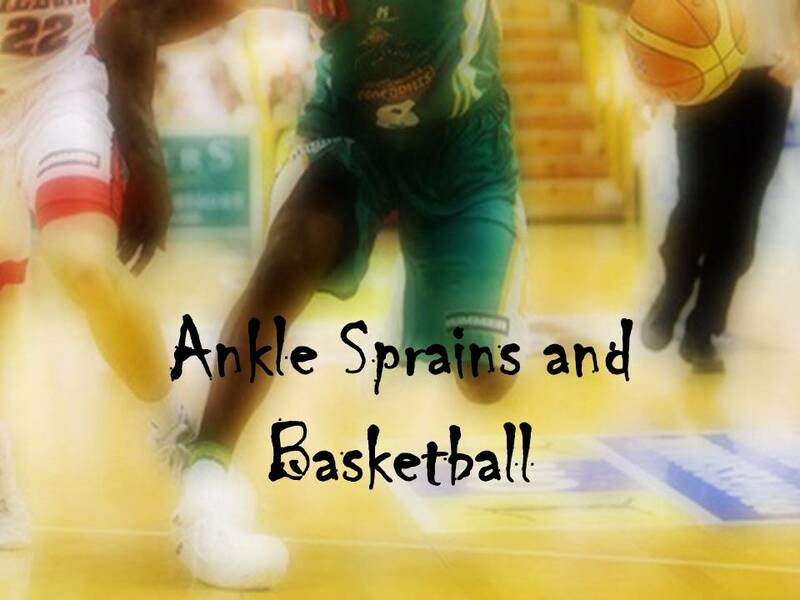 Ankle sprains are common injuries in sports. Ankle sprains in basketball occur because of the force of an opponent landing on another player’s ankle, or when landing awkwardly after a jump while shooting or rebounding, rolling the foot inward. Ankle sprain symptoms include swelling, warmth, bruising, and of course pain following the injury. These symptoms do not necessarily show up at the exact time of the injury. In some cases, the symptoms can be delayed by a few hours. Additionally, a feeling of ankle weakness is also common, due to extra laxity of the ankle joint developing from the ligament tearing. Pain with standing or walking is to be expected. Severe pain in which one cannot even place the foot down without excruciating pain possibly indicates a major fracture in the ankle or foot. The same is true for any sprain in which the ankle looks deformed or is angled off to one side. Several smaller foot fractures have been associated with ankle sprains, which do not necessarily add to the pain of a typical sprain directly. These often go untreated as people assume the pain was solely due to the sprain itself. In essence, a medical evaluation with foot and ankle x-rays is needed for all severe sprains, and most moderate sprains as well. ‘High’ ankle sprains are a somewhat different and more serious variation of the traditional ‘lateral’ ankle sprain, and involve damage to the tissue (syndesmosis) that binds the end of the leg bones that comprise the top part of the ankle joint. The pain is felt primarily above the ankle, and x-rays may indicate separation of these bones. Treatment of any sprain begins with the usual formula of rest, ice, compression, and elevation, primarily to reduce inflammation and improve comfort. The ankle will need support in order to heal, even if the pain is minimal. The use of an ACE bandage or a stretchable ankle sleeve is helpful for very low-grade sprains in non-athletes but is probably of little use in an athlete trying to decrease recovery time. More substantial bracing is often recommended, along with physical therapy as soon as the pain will allow. Sprains that are moderate to severe (or high ankle sprains) may require more aggressive treatment, including a period of immobilization prior to advancement to physical therapy. These injuries obviously take much longer to heal. All sprains should have a medical evaluation, including x-rays, to identify any significant instability, as well as any small fractures that may involve the bones surrounding the injury site. Further tests may need to be done if a full ligament tear is suspected, including the use of an MRI scan. Surgery is sometimes indicated to repair ligament tears that remain chronically unstable or to immediately repair fractures that occur with the injury. Surgery is also sometimes needed in high ankle sprains. The long term complications that can occur with an untreated or undertreated ankle sprain include instability, pain or stiffness in the ankle joint, ankle arthritis, and frequent spraining due to the inherent weakness of the injured ankle tissue. These symptoms can last a lifetime and can make even simple walking difficult, especially on uneven surfaces. Proper initial treatment guided by a foot and ankle specialist can help prevent these complications, and lead to a lifetime of healthy ankle function.